Note: This portion has been copied over from my 2009 Blu-ray release. 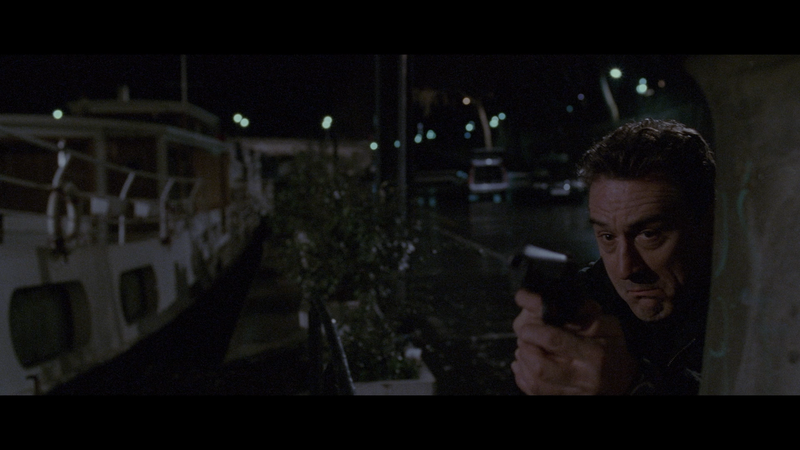 John Frankenheimer’s Ronin features probably one of the best car chases (laughable pyrotechnics and all) alongside Bullitt, The French Connection and The Bourne Ultimatum. Unfortunately I don’t think this film gets the attention it deserves because in my book, Ronin is one of my personal favorites. It’s not that the movie is anything special, it really isn’t. Sure, De Niro is great and the supporting cast of Jean Reno, Stellan Skarsgård and Natascha McElhone are all fantastic but the plot, an espionage movie that may or may not be an espionage movie, is well constructed. The team hired to get this briefcase have various skills: ex-CIA agent Sam (ROBERT DE NIRO) is an all-around skills man who can dissect situations; Frenchman Vincent (JEAN RENO) is there to provide location support and is able to get the team anything they need; Gregor (STELLAN SKARSGARD) is the techie able to program computers and get coordinates and whatnot; Larry (SKIPP SUDDUTH) is a skilled driver; and the “team” leader is Deirdre (NATASHCA MCELHONE) is the woman in charge of them all and gives them any need-to-know information on the heist. 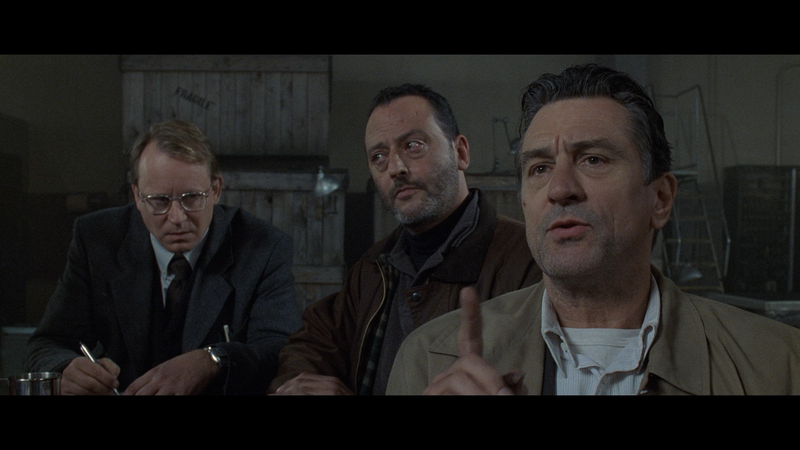 I know some take issue with the story and the twists and turns (the assassination of a figure skater), I’ve immensely enjoyed this film not only for its sharp and crisp dialogue, as realistically unrealistic as it is, but for the shear screen presence of Robert De Niro and Jean Reno, two veteran actors who have some of the best onscreen friendship chemistry. The rest of the cast are actually not too bad. 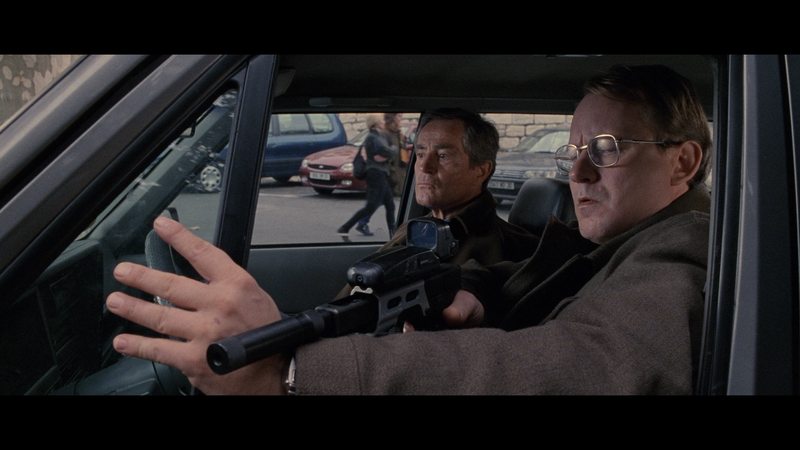 First we have the always great Stellan Skarsgård, post James Bond villain Sean Bean in a small thankless (though funny) role, plus Jonathan Pryce and the lovely Natascha McElhone round out a solid cast. As I said, this is not a perfect film with some flaws, but for its genre and a generally fantastic cast along with the late John Frankenheimer’s fantastic chase sequence, Ronin is well worth your time if you still have not seen it. This is a personal favorite of mine and even after seeing it several times, I’m certain I’ll watch and enjoy it over and over in the future. At long last, Ronin is available on Blu-ray with all the bonus material from the Collector’s Edition MGM DVD release and one new feature. This Arrow Video release comes with a nice matted slip cover and the Blu-ray is housed in an HD Keep Case. The inner cover is reversible revealing the movie’s original poster artwork and contains a 35-page booklet. Audio Commentary – Director John Frankenheimer. The late filmmaker, who died in 2002, offers up an interesting, if not a tad dry, track giving details on his process, style and other tid-bits. Close-Up (31:27; HD) is a new, and lengthy, interview with cinematographer Robert Fraisse as he reflects on his long and varied career. You Talkin’ To Me? (27:01; SD) – Originally recorded in 1994, director Quentin Tarantino is featured in an episode of Cinefile which profiles and praises De Niro’s career. Alternate Ending (1:49; SD) – While interesting, I’m glad this was not used, but still worth watching; it involves Deidra visiting the café but before she can meet Sam, is kidnapped by her former Irish terrorist colleagues. Also included is the Theatrical Trailer (2:28; HD) and a Still Gallery. Ronin: Filming in the Fast Lane (17:45; SD) – This is your standard featurette with some behind-the-scenes footage and on-set interviews. Through the Lens (17:57; SD) is an older interview with Robert Fraisse as he explains his process and working with director John Frankenheimer. 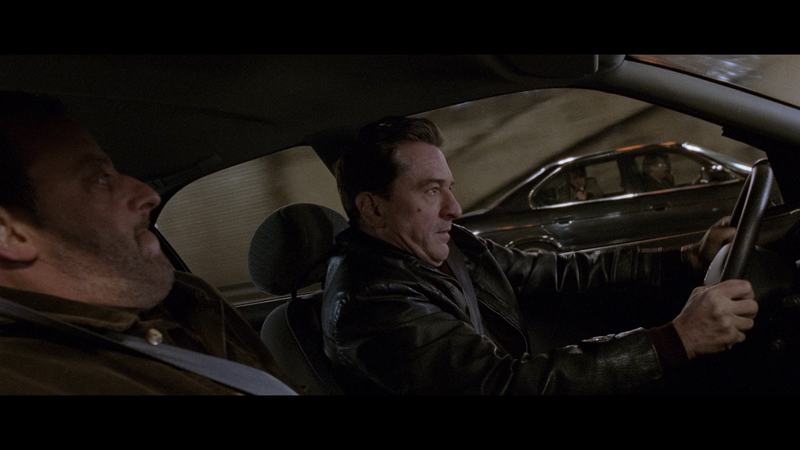 The Driving of Ronin (15:29; SD) explores the stunt vehicle work that is one of the more prominent aspects of the film. Probably my favorite of these featurettes. Natascha McElhone: An Actor’s Process (13:57; HD) – The actress explains her role in the film and approach to the character. Composing the Ronin Score (11:52; HD) – Composer Elia Cmiral explains his process of creating this unique score, which is incredible and listen to all of the time on my iPod. In the Cutting Room (18:56; SD) is an archive interview with Tony Gibbs as he talks about how he approaches the editing of the film. 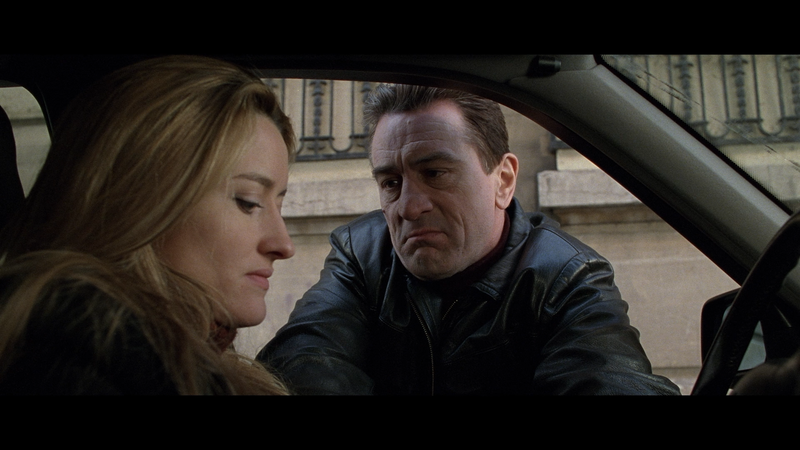 Venice Film Festival Interviews (20:41; SD) – De Niro, Reno and McElhone talk about working on the film. Nothing overly fascinating but was an okay watch. 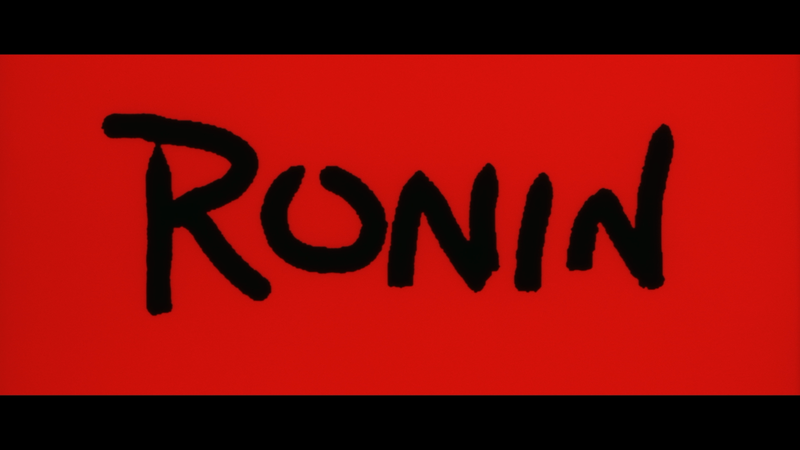 Ronin makes its second appearance on Blu-ray this time on Arrow Video. The film is shown in its theatrical 2.35 widescreen aspect ratio and given a 1080p high-definition transfer culled from a new 4K scan using the original 35mm camera negative, with grading and restoration being “supervised and approved” by DP Robert Fraisse. This has never been the brightest movie to begin with so there’s not going to be much “pop” with colors more on the muted spectrum, though skin tones is natural in appearance. Detail also is sharp and well defined and I didn’t notice much, if any, in the way of dust marks, scratches or other flaws. I did some comparisons between the 2009 and 2017 transfers and in some, the differences are discernible, and this one looks to be superior. A few of the old transfer look too bright and this transfer seems to fix that and skin tones look far better. The Blu-ray comes with a lossless DTS HD 5.1 Master Audio that sounds fine and everything is pretty clear from the dialogue through the center speaker to the sound effects which make use of the other speakers. However, I also was not blown away by any of it. I thought the audio was fairly lightweight compared to what I expected from a DTS HD track. Based on the booklet, this is the original track from the MGM release. 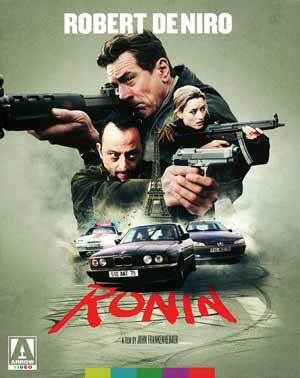 Overall, Ronin is a fantastically slow burning yet still suspense-filled crime drama, a call back to the 60s and 70s preferring realistic car chases, not unlike Bullitt and The French Connection over the slam-bang chases like in the Bourne franchise (which is a great series in its own right). But beyond the cars and explosions, the acting is top notch coupled with David Mamet’s screenplay and dialogue (here he is credited as Richard Weisz). This new Blu-ray from Arrow Video offers an improved video, solid audio and a nice selection of special features.